The Government has a lot of changes planned for fleets, especially for fleets doing critical, complicated work. Here’s our guide to what you can expect in 2018 and beyond. In his Autumn Budget, the Chancellor announced two tax hikes for diesel vehicles. From 6th April, the diesel supplement applied to Company Car Tax (CCT) rates will be increased from 3 percentage points to 4. However, there are two important exemptions to these diesel tax rises. The first is that the changes will not apply to vans. 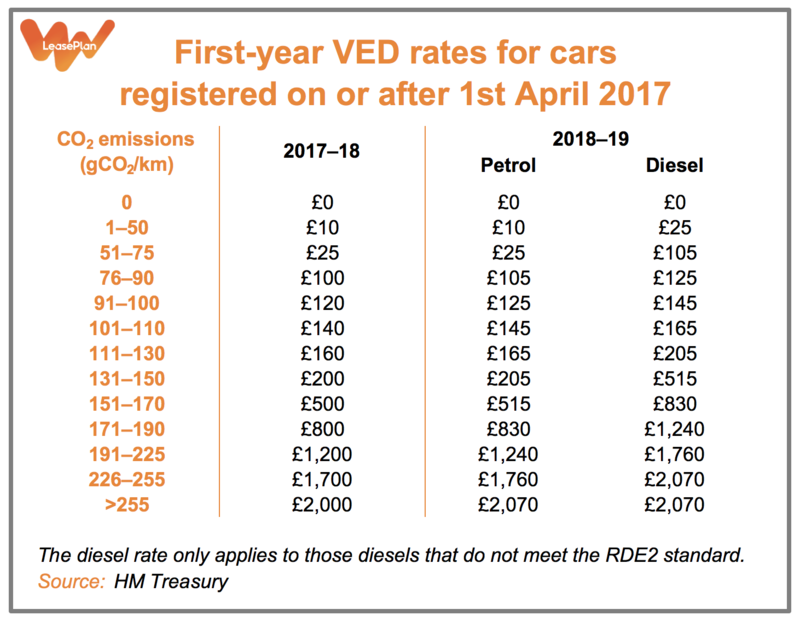 The second is that diesels that meet the new Real Driving Emissions step 2 (RDE2) standard will not have to pay the higher VED rates, nor the CCT supplement. For more information about these tax changes, please see our guide to the Autumn Budget. The rate of Fuel Duty for petrol and diesel has been frozen at 57.95 pence per litre since March 2011. It was scheduled to rise in line with inflation in April 2018, but the Chancellor cancelled this rise in his Autumn Budget. The rate will therefore remain at 57.95p per litre until at least April 2019. On 8th April 2019, central London will become the world’s first Ultra-Low Emission Zone (ULEZ). Vehicles driving through what is currently the Congestion Change zone will have to meet the latest emissions standards or pay a fee. Petrol cars and vans that do not meet the Euro 4 emissions standard, and diesels that do not meet Euro 6, will have to pay £12.50-a-day on top of the existing Congestion Charge. Pre-Euro VI HGVs have to pay £100-a-day. These ULEZ fees will replace the £10-a-day T-Charge that was introduced in October 2017. The Mayor of London is currently consulting on proposals to extend the ULEZ beyond central London. For more information, please consult our Q&A post. Last year’s Air Quality Plan ordered 29 local authorities in England to introduce new measures for combatting air pollution. One of these was London, which is already pushing ahead with its measures. Another five – Nottingham, Leeds, Derby, Southampton and Birmingham – will have to introduce Clean Air Zones by the end of 2019. The remaining 23 will have to draw up plans by the end of this year. These measures might include charges for the worst-polluting vehicles, along the lines of London’s ULEZ. However, the Government has said that charges should only be introduced as a last resort. Alongside the Air Quality Plan, the Government launched a consultation on various regulatory changes to encourage the uptake of alternatively-fuelled vans. The biggest of these changes is designed to account for the fact that electric vans tend to be heavier than their diesel counterparts. Currently, people with the standard category B driving licence for cars can drive a van with a gross weight of up to 3,500kg. The Government wants to increase this to 4,250kg, so long as the van is powered by electricity, natural gas, liquefied petroleum gas, or hydrogen. The consultation closed in October. The Government has not yet announced its final policy. We have more detail about the proposed changes here. This consultation closed on 26th January, and we are now waiting for the Government to publish a summary of the responses it has received, and to reveal its plans. The new Worldwide Harmonised Light Vehicles Test Procedure (WLTP) and Real Driving Emissions (RDE) tests were introduced for all new models of car in September 2017. From September 2018, all newly registered cars will have to undergo the WLTP, and from September 2019 they’ll have to pass RDE tests too. 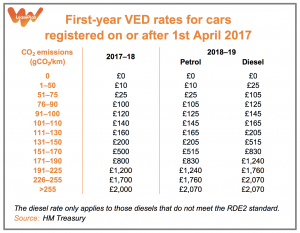 In the Autumn Statement, the Chancellor announced that, from April 2020, WLTP figures for CO2 emissions will replace the existing New European Driving Cycle (NEDC) ones when it comes to calculating VED and CCT. The Government is also currently consulting on new regulations to require manufacturers to display WLTP figures to customers, instead of NEDC ones. This would apply for fuel economy from January 2019, and for CO2 from April 2020. These regulations would also extend the WLTP to vehicles that undergo National Small Series Type Approval or Individual Vehicle Approval. In that same consultation, the Government is proposing to extend the requirements for HGVs to be fitted with advanced driver-assistance systems for safety purposes. Currently, only HGVs and coaches weighing more than 8 tonnes must be fitted with Lane Departure Warning Systems and Advanced Emergency Braking Systems. The Government plans to require all new ones over 3.5 tonnes to have them, starting in November 2020. From 15th June 2019, every new HGV or coach will have to be fitted with a ‘smart’ digital tachograph. These smart tachographs are designed to make fraud more difficult and to reduce the administrative burden on fleets. 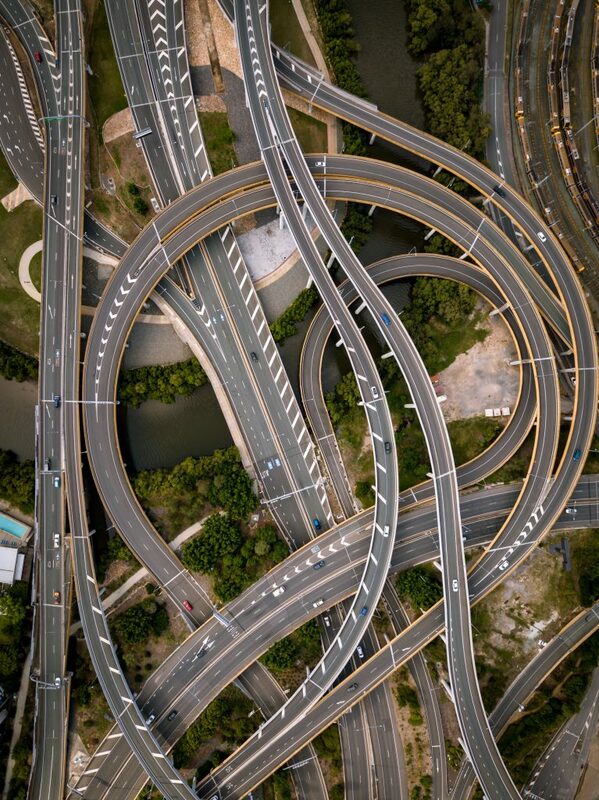 They are linked to global satellite navigation systems, which means that they can record more detailed and accurate data on driving times and rest periods. Traffic enforcement officers will also be able to access data from smart tachographs remotely, allowing them to identify which vehicles to stop for checks. In 2016, the International Accounting Standards Board published a new standard, IFRS 16. 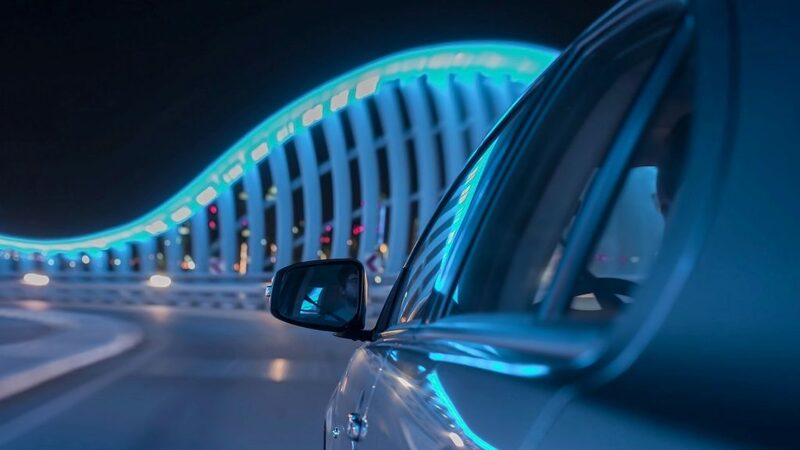 This will apply to reporting periods beginning on or after 1st January 2019 and will require companies to include the vehicles they lease on their balance sheets, including ‘operating leases’. This is because IFRS16 moves away from the current ‘risks and rewards’ model to one based on who has the ‘right of use’ of an asset. However, short-term leases ­– those lasting 12 months or less – are exempt from these changes. In addition to the various pieces of legislation coming out of Brussels, Westminster and city halls, industry bodies have been introducing their own policies for fleets. These often come in the form of voluntary programs, where members receive certification if they comply with a set of standards. The ECO Stars Fleet Recognition Scheme, which was established in South Yorkshire in 2009. Members are rated from one to five stars on a range of measures relating to efficiency and environmental performance. The Fleet Operator Recognition Scheme, which now has more than 4,500 members. It offers bronze, silver or gold accreditation based on a fleet’s safety, efficiency and environmental impact, and provides training and tools to help fleets improve in these areas. The Construction Logistics and Community Safety standard, which grew out of a 2012 review of collisions with cyclists in London. It sets a national standard for safety that applies to both the construction industry and fleet operators. The Truck Excellence certification, which is offered by the Freight Transport Association. It audits a fleet’s compliance with the requirements of their operator’s licence. Although none of these programs are required by law, they are increasingly being required by customers. Fleets without certifications might find themselves missing out on particular contracts, so it is worth considering joining these schemes. If you do, it’s also important to keep up with the standards as they may evolve over time. With so much changing so quickly, it’s important to keep up with the various regulations and requirements that fleets have to comply with. Otherwise, you might face expensive fines and other penalties. But compliance isn’t just about avoiding fines: it can also help to make you fleet more efficient, improve your reputation, and give you a better chance of obtaining valuable contracts. 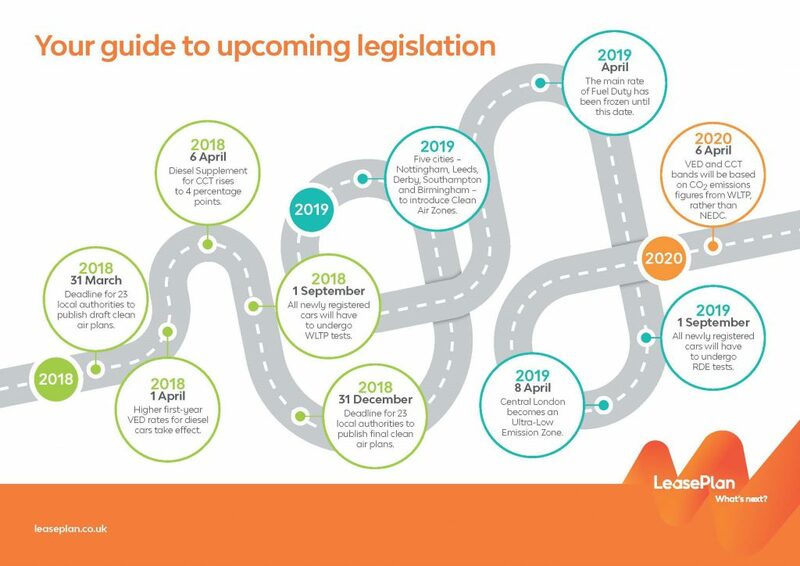 To learn more about how LeasePlan can help you to stay compliant, please get in touch by filling in our online form or call us on 0344 493 5810.